My Neon is in the 1.8-2.0 N/A class...I'll let you know how it went. Final (against a VW Golf IV GTI 1.8T) - Loss - 11:18. I shifted 1st-4th in the final and recovered too late. Life's like that, hopefully I get it better for Round 2 on May 25th. So I'm second in the championship standings with 8 points and more importantly silenced the crowd when I took out the reigning champion. Bouahahahahaaa ! Nice job! 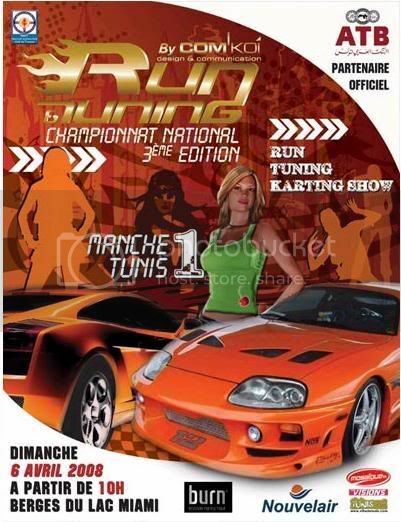 With a little more power, some decent tires, and some practice you can be the Tunisan national Drag Champion! In a Neon!! Thats awesome. The 9.47 run is good for high 14's. If you get a set of slicks, you'll be King! !